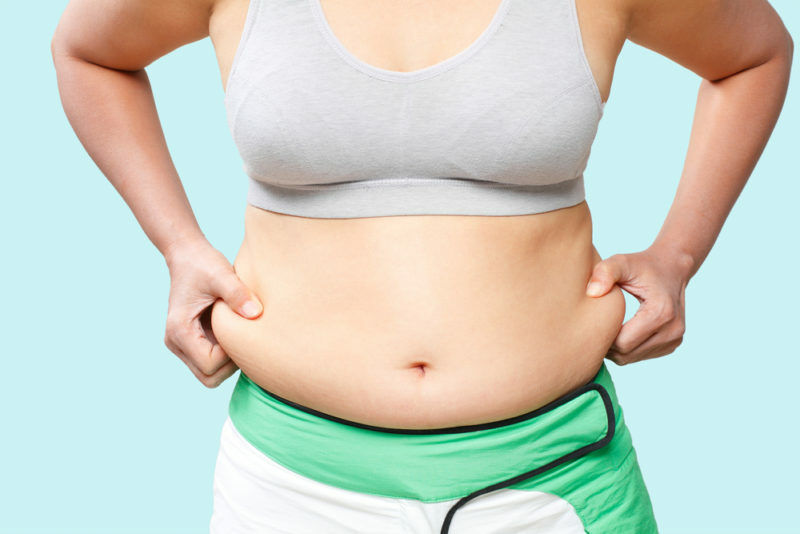 Are You Working On Losing Weight (In A Healthy Way)? Look into protein powder – it might be a good option for you in your weight loss quest. You might be wondering how protein powder would help with weight loss anyway. Most people picture gym rats with big muscles chasing gains when they think of protein powder, but it’s also useful for general weight loss. Protein helps you lose weight in several different ways. The average daily protein intake for men should be around 98 grams and the average intake for women should be around 68 grams – but those looking to lose weight should increase their protein consumption to 25% of their daily calorie intake (which would be 113 grams of protein on an 1800 calorie diet). Protein powder can help you meet those protein intake goals. And what’s probably the best, most immediate effect of adding some extra protein to your diet? You’ll feel fuller. Your meal portions won’t have to be large, and you’ll be less tempted to snack throughout the sday when your normal meals leave you satisfied for longer. You won’t have to eat as much. Even if you’re already in the habit of eating healthy, low-fat, high-protein foods, it doesn’t hurt to add a little protein powder for a boost. 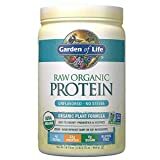 For our ratings on the best protein powder for weight loss, we considered the type of protein, the cost, the reviews, the taste, and how easy the particular protein powder is to find. It comes in over 20 different flavors like banana crème, birthday cake, cake batter, chocolate coconut, chocolate mint, cookies and cream, gingerbread, hazelnut, key lime pie, mocha cappuccino, rocky road, salted caramel, strawberry banana, and vanilla ice cream, among others. An easy to digest option with 20 grams of protein, 10 grams of essential amino acids, and only 1 to 2 grams of sugar per serving, Power Cru​​nch Proto Whey Protein Powder is another great choice. Power Crunch Proto Whey is well-liked because it’s easily digested and absorbed by the body due to its high DH, or degree of hydrolysis. 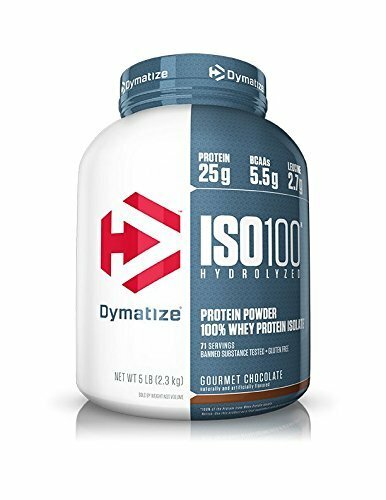 The DH indicates how much the protein has already been broken down in order to be quickly and completely absorbed (down to amino acids, or di- and tripeptides). Because Proto Whey doesn’t have to be broken down as much as other protein powders, it has less allergenicity and a low glycemic response. Also, the powder is easy to mix and doesn’t require the use of a blender. It comes in flavors like café mocha, double chocolate, and vanilla crème. An easy to digest option with 20 grams of protein, 10 grams of essential amino acids, and only 1 to 2 grams of sugar per serving, Power Crunch Proto Whey Protein Powder is another great choice. 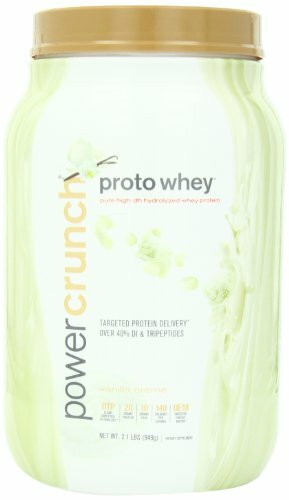 Power Crunch Proto Whey is well-liked because it’s easily digested and absorbed by the body due to its high DH, or degree of hydrolysis. bun, cookies and cream, fudge brownie, chocolate peanut butter, birthday cake, orange dreamsicle, smooth banana, and strawberry. 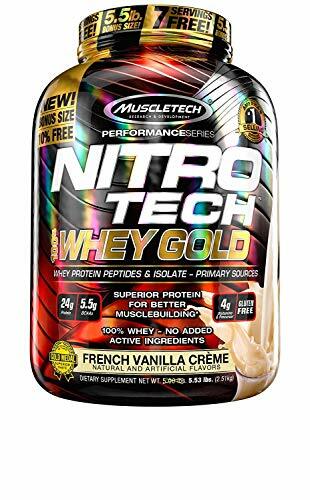 Nitro-Tech 100% Whey Gold Protein Powder has 24 grams of protein, 5.5 grams of BCAAs, and 4 grams of glutamine per serving. It boasts superior absorption, digestibility, and mixability. The powder is hydrolyzed for quick nutrient absorption and has a full spectrum array of amino acids. Nitro-Tech is known for its great taste with flavors like chocolate banana split, churros, dulce de leche, New York berry cheesecake, vanilla funnel cake, mint chocolate chip, and more. 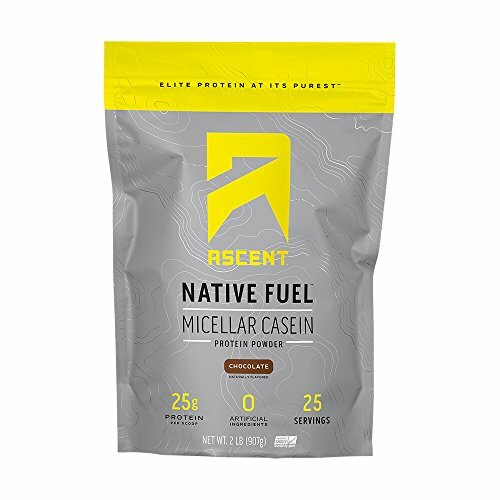 A certified gluten-free choice with no artificial ingredients, Asc​​ent Native Micellar Casein Protein Powder is another good choice for your snacks and shakes in the flavors chocolate, vanilla bean, and cappuccino. 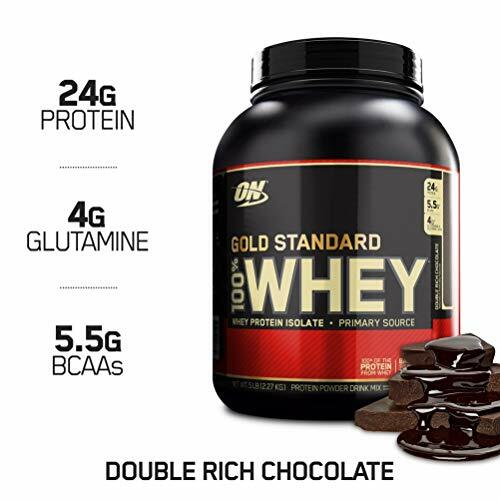 The powder has 25 grams of protein per scoop, along with 11 grams of naturally occurring BCAAs. It’s ideal when consumed before bed as the slow-release protein helps you improve your natural ability to recover while you sleep. 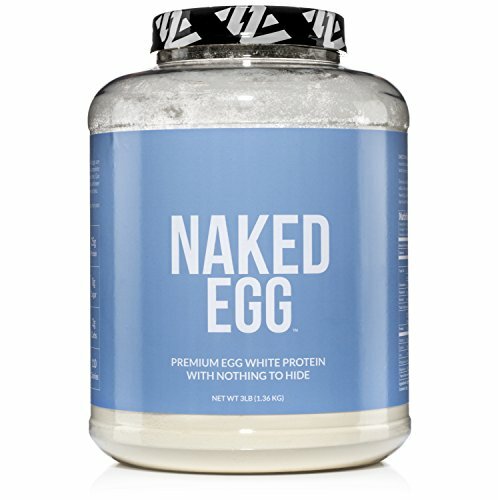 Naked Egg White Prote​​in Powder is a great gluten-free, dairy-free, soy-free, and paleo-friendly protein option. 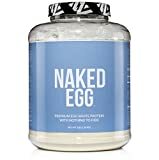 Naked Egg uses non-GMO eggs sourced from U.S. farms and boast a complete amino acid profile. Other than the eggs, the only other ingredient is sunflower lecithin – there are no artificial sweeteners, flavors, or colors. 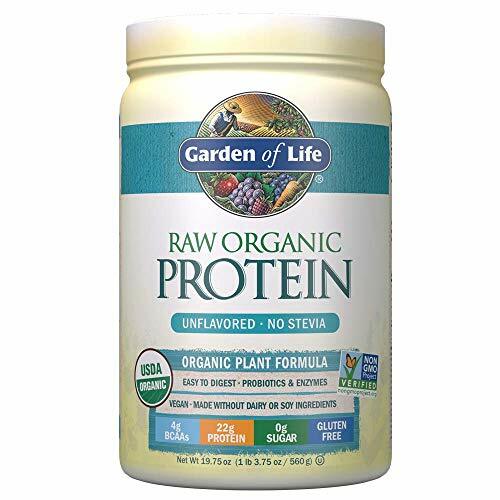 Garden of Life Raw Organic Protein P​​owder comes unflavored or in chocolate, vanilla, or vanilla chai to meet your post-workout recovery and weight loss needs. The powder is vegan, organic, gluten-free, dairy-free, soy-free, sugar-free, and non-GMO. 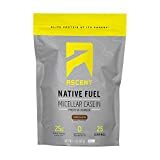 Each serving is 110 calories and will give you 22 grams of completely plant-based protein along with vitamins A, D, E, K, and various probiotics and enzymes to ease digestion. There are plenty of places to find protein powder – the most accessible location is probably in one of the pharmacy aisles at your local supermarket or at a convenience drugstore. Sporting goods stores and specialty nutrition stores will also usually have a good selection of the best protein powder for weight loss you’re looking for. You can always go on the hunt online on Amazon or a supermarket or specialty store’s website. While whey is the most popular protein powder supplement, there are other proteins to choose from too – casein, soy, rice, pea, egg whites, and hemp are a few. The right protein powder for you largely depends on what you’re looking to get out of the supplement, and what your preexisting dietary needs are. For example, if you’re vegan, whey and casein aren’t for you (they both come from milk) – thankfully, there are vegan protein options like soy and rice to cover your protein powder weight loss needs. It's also important that your protein powder has the essential amino acids, is high in protein content (at least 20 grams per serving is recommended), and is low in carbohydrates so the extra calories don’t mess with your weight loss goals. Whey is a dairy protein that’s a byproduct of the cheesemaking process. It’s the watery part of milk that ends up being drained away from the forming curds. It’s thermogenic (helps burn calories) and aids in protein​​ synthesis (which starts the process of building new muscle). Because most of our bodies easily digest whey protein, it’s good to take after exercise for muscle building and recovery. Whey isn’t a good choice for vegans or individuals with lactose intolerance (and neither is casein). Casein protein powder is another dairy based protein – it’s different from whey in that it comes directly from milk and is more slowly absorbed into your body. Casein protein forms curds when exposed to our stomach acids, so it takes a while (6 to 7 hours) to digest and absorb. This protein is also a good source of calcium. Protein from egg whites is absorbed and used by our bodies efficiently, not to mention is has very little fat or carbs. It’s digested even slower than casein protein, which will keep your appetite sated. Soy is one of several plant-based and vegan-friendly protein powder options, although it does come with some concerns. It has all 9 essential amino acids needed for human health (like the dairy proteins) and helps with appetite reduction. Research on effects shows a mixed bag – soy is pretty good for women (because of estrogen-like molecules called isoflavones) and for the same reason can cause odd hormone effects in men. It’s advised to opt for a different plant-based protein if you plan on using the powder regularly. Pea protein also has the 9 essential amino acids like soy and is also quite filling. Like whey, pea protein has a lot of leucine which is great for muscle-building. However, it’s known to have a kind of earthy taste that some dislike. Rice protein, on the other hand, is known for its mild taste, pleasant texture, and overall makes for a solid protein powder. Hemp protein isn’t as nutritious as the other plant-based proteins, but still works alright. It has more carbs and fat than the others and isn’t absorbed into our bodies as easily. There are plenty of creative ways to use protein powder in food. You can mix the powder into your existing meals – say, into your oatmeal, pancake, or muffin mix to make your delicious results more nutritious and filling. For those types of recipes, you can swap up to a third of the flour with protein powder (don’t add much more than that though, or the texture of your food can get a little weird). You can also use protein powder as a replacement for a meal altogether – by mixing a serving in with water, milk, a milkshake, or a smoothie, you can sip on a filling beverage instead of taking a fork to your plate. This meal method works best with casein protein (although whey is good too) because of its slow absorption rate – you’ll stay full for longer. Just be wary of what you put into your smoothie so you don’t unintentionally consume more calories than you intended. Not ready to swap out a whole meal for a protein shake? No problem, drink your smoothie as a snack for a quick burst of energy when needed or as a holdover to make it to your next major meal. You could also make your own protein balls. Lastly, remember: weight loss takes more than just adjusting your diet with protein powder (or with anything, for that matter) – it takes exercise, too.